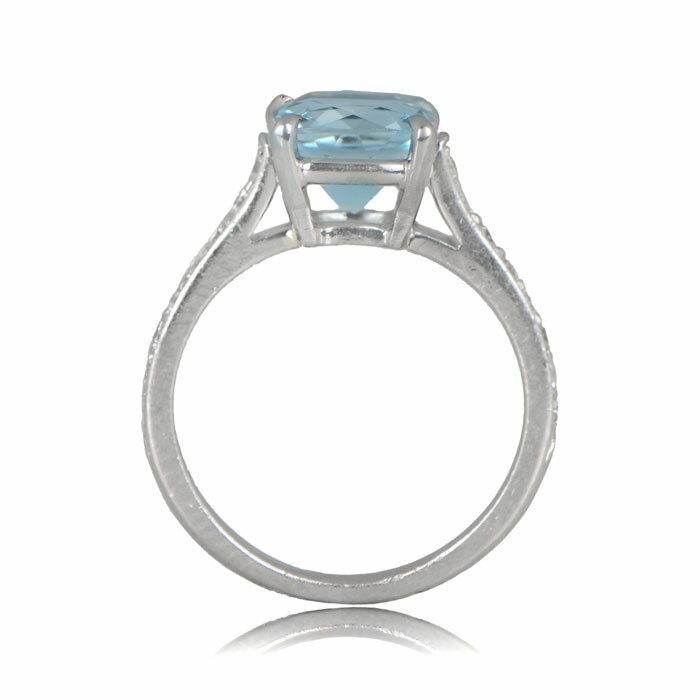 The Tagus Ring showcases a lively and deeply saturated aquamarine, accented by sixteen diamonds along the shoulders. 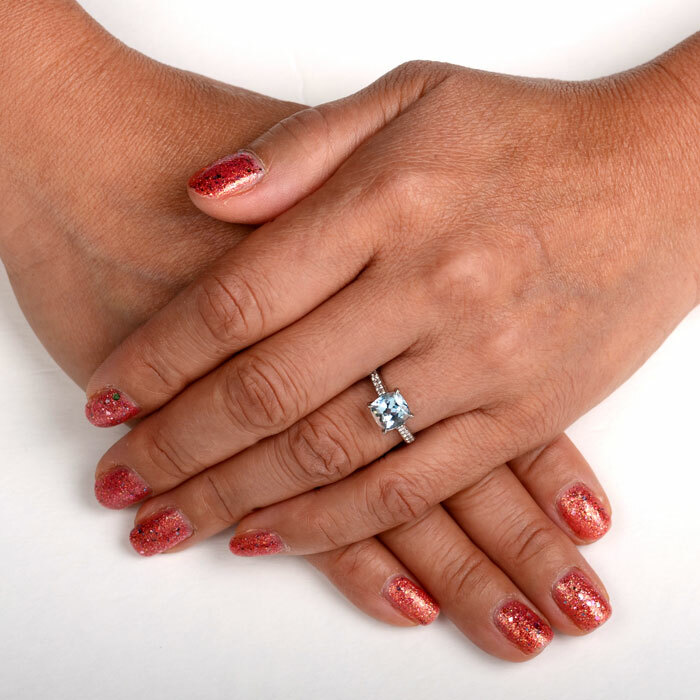 The lovely open gallery adds to the delicacy of the design. 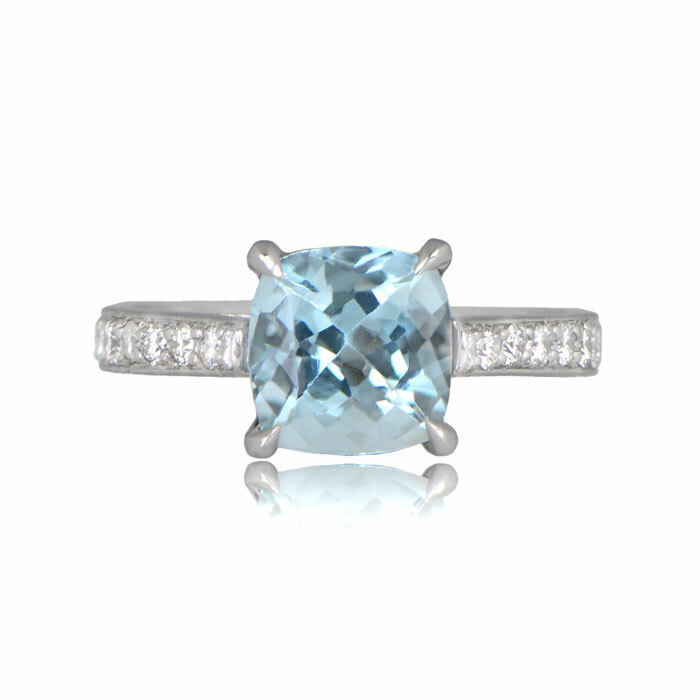 The aquamarine in the center weighs 1.54 carats and features a lovely shade of aquamarine-blue. 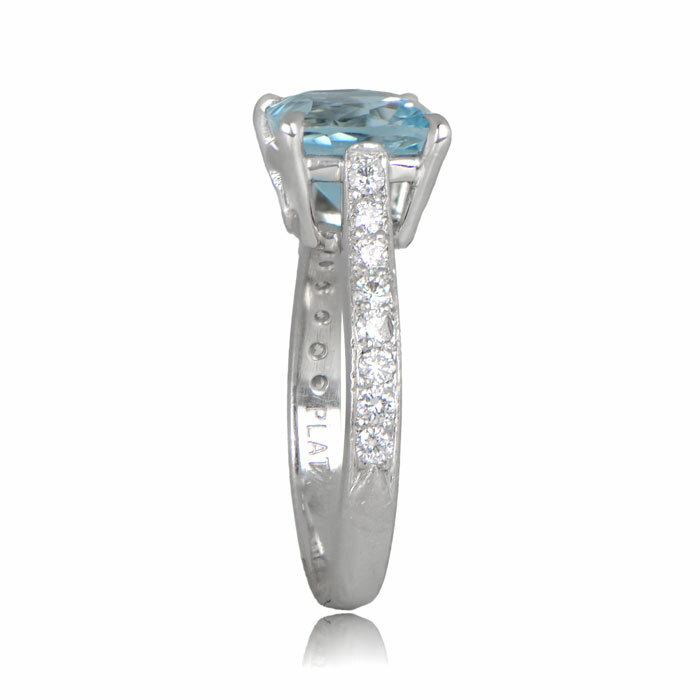 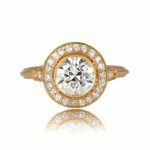 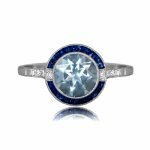 SKU: 11779 Categories: Aquamarine Engagement Rings, Vintage Engagement Rings - Contact us and request additional pictures.